‘Suffer in Hellfire’ is the third album from the Scottish black metal band Demonic Cremator. It is the follow up to their self-released 2011 album ‘Crucified’. Straight from the offset we’re in for some fast faced, guitar focused black metal with shout-like, thrash metal style vocals. I can detect some influences from early and recent Darkthrone in the sound patterns and the overall speed of the music on tracks like the opener Slack Jawed (Lights Out). The main difference is that this is a lot more refined. Despite the obvious black metal undertones, the title track is definitely leaning more towards the thrash/heavy metal category thanks to the catchy, “rocking” guitar riffs and the thrash metal vocals. What style is this? The closest comparison I think come up with is ‘The Cult is Alive’ album by Darkthrone, even the vocals are similar. This pretty much sets the tone for the rest of the album. All songs on here are rather short with the longest clocking in at just under four minutes and most of them contain the aforementioned “rocking” guitar riffs. Fans of orthodox and raw black metal may be disappointed to hear some of the catchy guitar tunes that Demonic Cremator has to offer. Take Firehole for instance, the opening riffs and fast drumming are more typical of current thrash metal bands such as Toxic Holocaust than the likes of old Dark Funeral or Mayhem. Luckily I happen to like this style. Other noteworthy tracks include: Driven By Courage which reminds me of Merciful Fate for some reason; and the slower paced In The Face of God, one of the few songs featuring some down-tuned black metal guitar elements. Overall this is a surprisingly enjoyable album which I would recommend to fans of modern Darkthrone. 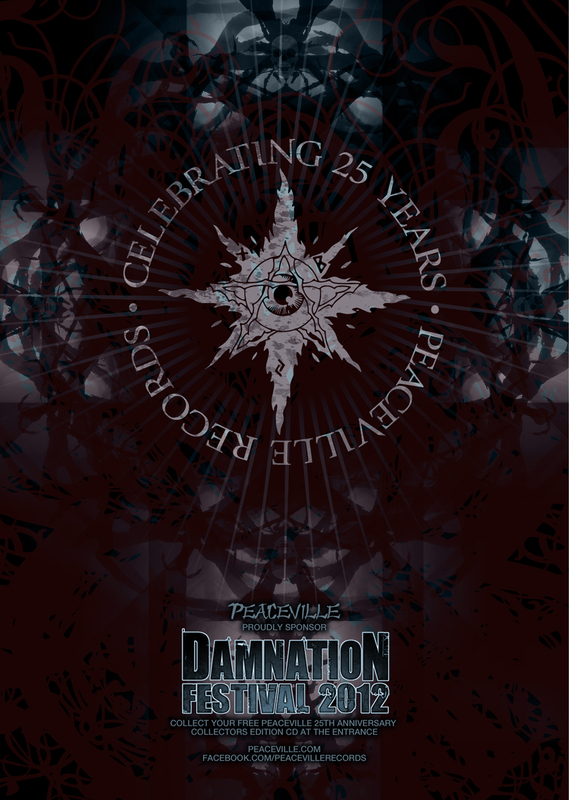 Peaceville Records is proud to announce that, to coincide with celebrating 25 years of the label’s existence, we will be joining forces with Yorkshire’s own Damnation festival, as sponsoring partners. Damnation Festival, based in Leeds, UK, has brought a high-caliber of extreme metal’s finest & most diverse acts from around the globe to the north of England since launching in 2005. Representing Peaceville on the night will be local doom heroes and heroine My Dying Bride – themselves a long-standing act on the label over a 20 year period of metallic tyranny – as the band return to the stage in support of their upcoming album due on Peaceville. Since its inception in 1987, Peaceville Records has brought consistent quality & evolution to the metal universe, from early crust punk releases, to the death metal of Autopsy & At the Gates, through the black metal of Darkthrone, to being a leader of the gothic doom movement with the ‘Peaceville 3’; namely Paradise Lost, My Dying Bride & Anathema – all cementing the label’s legendary reputation as the home of doom. Later years saw numerous internationally renowned acts such as Katatonia & Opeth brought to the fold, & more recently the UK’s own Cradle of Filth. 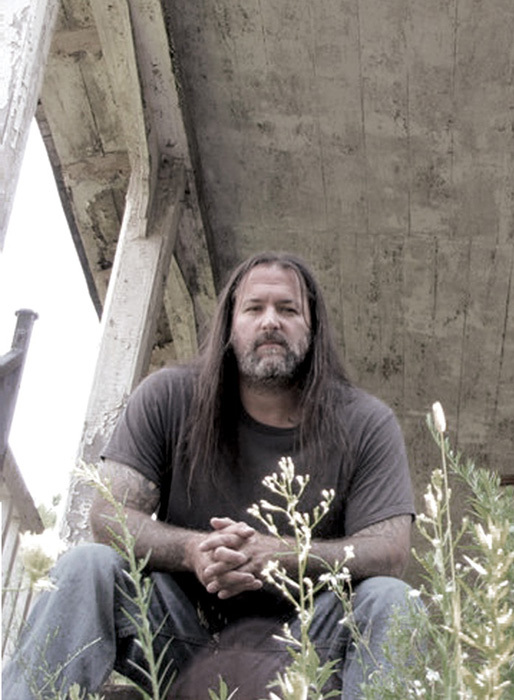 Phil Swanson, frontman for North Carolina doom metallers Hour Of 13, has taken part in a Question & Answer session with the band’s label, Earache Records, ahead of the release of their new album, 333. 333 was recorded at Epiphonic Studios in Lenoir, North Carolina, and is due to be released on Monday, May 28th in Europe, and on July 30th in North America. The album has been hailed by Darkthrone‘s Fenriz, who recently featured Hour Of 13 in his ‘Band of the Week’ column, stating, “This new Hour of 13 album simply cannot do wrong – it is immersed in utmost respect and understanding of the ways of old”. Earache: The album is just about to be released to the general public, but how do you guys feel about the album now that you’ve been living with it for the past few months? Phil: I actually feel much better about it now than when first hearing the finished mixes, as I have finally been able to listen with clean ears and an open mind, not looking for things I’d like to change or add. Now I hear it as a finished and complete record, and I am very proud of it and feel it’s our best yet. 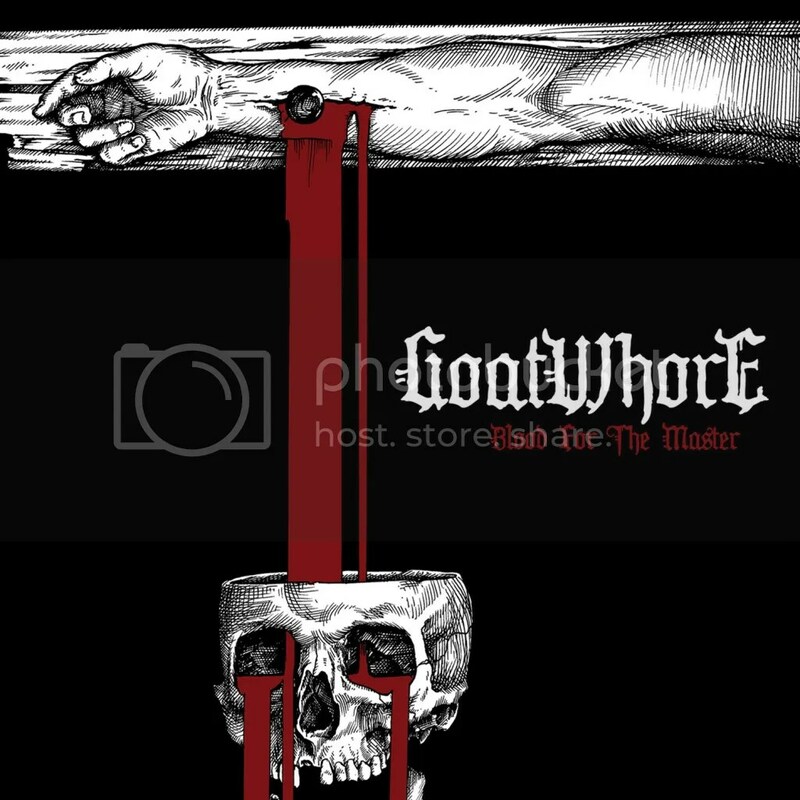 I’ll be honest, I’ve never listened to Goatwhore before despite them being a blackened death metal act. All I really know about them is that they’re from New Orleans in the United States and that “Blood For The Master” is their fifth studio release, which is available 14th February through Metal Blade Records. ”Collapse in Eternal Worth” greets you straight away with a frenzy of snarling vocals and barbaric instrumentation. There’s a slight Darkthrone influence ringing through the riffs here and there, keeping the guitars raw sounding but the song’s key feature is the speed. Goatwhore increase the dose of blasphemous heavy riffs in the next track “When Steel And Bone Meet” fusing it with furious melodic (I’m not sure if that’s the right term) guitar work, sounding like pissed off demon playing a solo. The lyrics conjure up some pleasantly violent images, which I think helps add to the enjoyment of the music. ”Parasitic Scriptures of the Sacred Word” smashes into the listener’s fragile ears like a bus crashing head-on into a raging rhino. The flow of the vocals weaves in and out of the music like sewing needle, carefully threading the track together into a brilliant piece. The guitar solo was a big turn-off for me though. “In Deathless Tradition” sounds oddly epic and grand when it first led the assault against my ear drums – That was until the vocals came in and rampaged through the track. The guitar work is sluggish, bordering on the lines of effete – It’s [the song] certainly not something I’d enjoy hearing live. The album bounces back with the more forceful and tenacious “Judgement of the Bleeding Crown”. The guitar work is stauncher than on the previous track algamating well with the rest of the music and the beastly vocals. An intermix of melodic riffs and acoustic work sounds in “Embodiment of This Bitter Chaos”, which in turn summon up the song’s evolution into a storming creature of cold-blooded heaviness. The song is like getting an injection from the doctor – All over and done with before you know it despite it being almost five minutes long. The screaming of perverse and diabolical guitars call you back for another dose of aggressive, face-melting savagery in the form of “Beyond the Spell of Discontent” but the song soon grows stale like week-old bread. “Death to the Architects of Heaven” doesn’t add any new buzz to the album, in fact, it adds to the staleness of the previous song. The guitars and drums are tighter than a well-built submarine but the song overall lacks flavour. “An End to Nothing” howls its way next with a very thrashy sound, injecting a sugar rush of excitement and blasphemous fun into the ears. The guitar solo leaves much to be desired but the thrills just keep coming with this track after the solo. “My Name is Frightful among the Believers” might sound like a line from a cheesy good vs evil movie but the song itself is so lacking in cheesiness that even lactose intolerants could enjoy it. The vigorous guitars work wonders with the dynamic drums and vocals which will no doubt leave you on the edge of your seat. As stated above I’d never listened to Goatwhore before, so I had no clue what was in store for me. Ignoring the few prolix parts, the album [Blood For The Master] is a powerhouse of violent music and beast-like vocals and would definitely be a good treat for your sweetheart on Valentine’s Day when its released.